HERE ARE SOME OF OUR MOST FREQUELTY ASKED QUESTIONS. 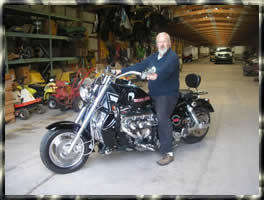 *Can You Ship My Motorcycle or ATV anywhere ? 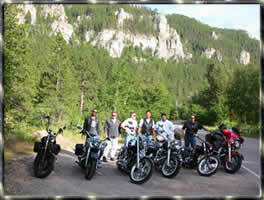 We can haul your motorcycle anywhere in or close to our Main run area. Email us - info@idtransport.com - to ask if your in or close to our main run area. *Is My Motorcycle or ATV Secure? YES. All of our trailers are designed just for motorcycles and they are all enclosed, so your bike is not subject to the weather or public display. 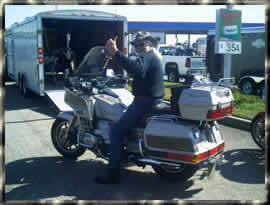 All of our drivers are also riders who take special care with each motorcycle. The driver that picks up your bike will most likely be the one who also delivers it. We also have custom side ramp doors that we can load and unload from all points in our trailers. This means that your bike will be moved at a minimum. The less that your bike is moved the less chance it could be damaged.We also require both pick-up and delivery parties sign off on our Bill of Lading and Inspection Report to assure everyone the bike is in the stated condition. *Is ID Transport the actual Motorcycle shipper ? Yes we are. All Trucks and Trailers are owned by ID Transport and all of our drivers only work for ID Transport. Some companies will book your shipment and resell it to the cheapest hauler. This is what you call a shipping broker and most of the time it's car shipping brokers. You definitely can't trust that car hauler knows how to tie your bike down or even has the right equipment to secure your motorcycle down with out causing some sort of damage. In some cases you will not even know who is transporting your motorcycle. be the driver who delivers your motorcycle. So you will always know your motorcycle is being cared for the way it should be. * Can You Transport a Motorcycle to a residence? Yes, we can deliver to your house if your house is in a place a commercial truck can enter safely; if not, we can get as close to your house as safety permits. Remember. Most of our trucks are over 50' long, so we don't want to take the chance of damaging your property, your neighborhood, our equipment, or another customers motorcycle . If the driver feels it's not safe, he will not go into your area. The driver has the final say. NO EXCEPTIONS. If you believe we may not be able to get to your location safely please discuss it when you book your shipment. *Does ID Transport ship bikes internationally ? Yes we do. Click here For Port locations and more info on international shipping. 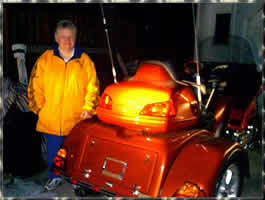 *Is My Motorcycle or ATV Insured during shipping ? 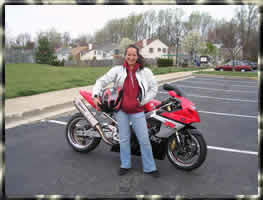 Each motorcycle is insured up to $20,000.00 while being transported, Additional insurance can be purchased by you for $5.00 per additional $1000.00 of value, up to a maximum of $50,000. *What do I need to have, to Schedule a Motorcycle shipment ? spot for your motorcycle or Atv. If we can't get a hold of anybody for pick up or delivery we will bypass. This could result in more charges, this could also mean you will get your bike weeks later. *When you call us we will require a 50% deposit to confirm your order and to reserve your spot on one of our all enclosed trailers, designed just for Motorcycle shipping and ATV transport. 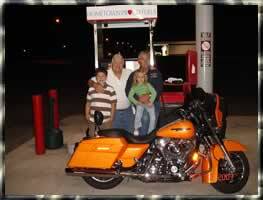 THIS IS IMPORTANT >>> The deposit you send schedules the pick up of your motorcycle. Nothing is scheduled until we receive your deposit. We accept credit cards, cashier's checks, money orders and PayPal. The balance of the payment is due on delivery and can be paid by either cash, money orders or credit card. *When Can I Expect My Motorcycle? From the time you reserve a spot to have your motorcycle shipped. The average time is about 2 weeks for pick up and delivery. Sometimes a customer can get their motorcycle shipped to them with in a few days and occasionally it can take up to 3 weeks. A lot has to do with timing. like where our trucks are at the time and the availability of space on our trailers. It's possible that when you call to set up shipping, we might have a truck in the area that day and we pick up your bike the same day. It's also possible that we just went through your area the day before or often the case. 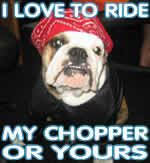 We are in your area, but we are already booked solid and it will be about 10 days before we can pick your bike up. We load as many motorcycles as we safely can during our cross country runs. We do not simply drive across the country to pick up or drop off a single motorcycle. Loading several bikes together for shipping is the key to making motorcycle transportation affordable for you. When you reserve your spot to have your motorcycle or atv shipped. Our staff will give you estimated dates for pick up and delivery. These dates are only estimates. So if we tell you pick up in about a week. Don't take the 7th day off from work and then get mad we didn't show up. We will notify the pick up and drop off locations a day in advance. We can only approximate due to changing schedules, traffic, road construction, weather conditions, customer delays or the dreaded mechanical failure over which we have no control. Schedule well in advance if you need the bike by a certain date. The driver will contact a person at each stop informing them he is expecting to see them within the next 24 hours. It is important that you are available to take delivery. 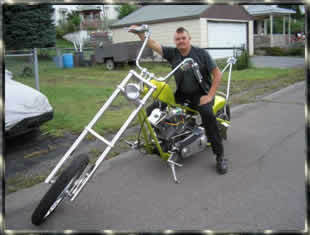 We wil not deliver your motorcycle wiith out an authorized signiature for any reason. If the scheduled drop off is missed due to you not being there. There will be a hundred dollar return delivery fee and could be several weeks before you receive your bike again. *Do I have to drain the fluids from my motorcycle? NO. ID Transport doesn't make you drain the fluids or remove the battery from your motorcycle or Atv. Upon delivery, when we roll it out of our trailer you can be ready to ride. *We don't recommend having a full tank of gas. Due to the fact that not all gas caps seal properly causing gas to spill out on to the paint, possibly causing damage to the paint work. 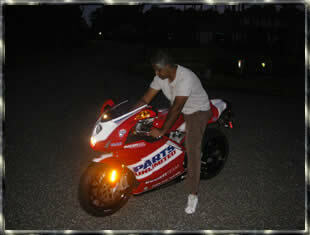 *What should I do to get the motorcycle ready for shipping? Basically nothing. We would like your bike to have air in the tires and be able to roll. Additional charges may apply. If your bike does not roll, has flat tires, or doesn't run. *What if I have extra parts to ship with my motorcycle? We prefer not to take extra parts. If you do wish to ship other parts with your motorcycle there will be addtional fees for caring for them. We charge about the same as UPS. *Should I tip the Driver? Do you tip the pizza delivery guy? It's really up to you, but if you can give the pizza delivery guy a couple of bucks for delivering some melted cheese in a card board box. You should be able to throw something to the Motorcycle delivery guy who just brought your custom painted pride and joy all the way across country without even so much as a tiny scratch. I believe that's a no brainier. They would appreciate anything. It's really up to you. *What if I decide to cancel my motorcycle shipment? Any shipment booked or scheduled, and then cancelled, for ANY reason, will be subject to a cancellation fee of $100. This is regardless if the truck has left on that specific route or not. Once a spot is reserved, we can't sell it to anyone else. The ONLY exception is if a shipment is cancelled within 48 hours. In this case the cancellation fee will be $25 to cover processing fees. IMPORTANT: We are not responsible for the content of saddlebags and/or luggage bags on your motorcycle. Make sure you lock them and/or secure them for safety. Also, if the bags are not secured properly, where they could bounce out and damage your bike or someone else's, we will not take the bags with the bike. They will have to be shipped separately in a secured box for a additional fee. Shipping a Motorcycle: Questions and Answers. Motorcycle Shipping. It's all we do! !